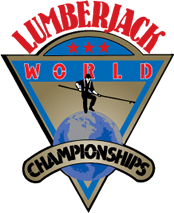 Thank you for your interest in volunteering for the Lumberjack World Championships! August 1 - 3, 2019. All duties take place at the Lumberjack Bowl - 15670 County Rd B, in Hayward, WI. If so, where did you volunteer? While there are benefits associated with being around and volunteering at sporting events, I (the individual named above) know that being around a sporting events is a potentially risky activity. I know that volunteers around sporting events can be exposed to risks posed by weather, terrain, physical exertion, and contact with race participants, spectators, other volunteers, and vehicles (including ATV's, LWC official vehicles and emergency vehicles). I know that such risks can result in injuries, usually minor injuries, but on occasion serious, and in some very rare instances very serious injuries. With knowledge of these benefits and risks, I hereby assume all risks of either injury or death associated with being around the sporting event at which I am volunteering. Additionally, in consideration of the experience, food, beverage and/or clothing provided to me as a volunteer at this event, I hereby agree to waive and release the Lumberjack World Championships Foundation, Inc. (LWC), and all it agents, employees and sponsors, from all claims for liability of any kind (including, but not limited to, claims relating to NEGLIGENCE) arising from my volunteering for this event, except I do not waive or release hereby any claims for harm caused intentionally or recklessly. I hereby waive the opportunity to bargain for terms different than those stated in this agreement. This is the entire agreement relating to the matters addressed herein, and it may only be modified in writing. If Volunteer is a Minor, this Agreement is entered into on the Minor's behalf by the Minor's parent or guardian, and Minor's parent or guardian, also hereby waives and releases to the fullest extent allowed whatever claims he or she may have arising out of or related to the Minor's volunteering. Media Consent: I hereby grant LWC the right and permission (a) to use and authorize others to use photographs and video of me, and audio of my voice, and to modify such photographs, video and audio, for illustration, promotion or advertising purposes: and (b) to contact me for marketing purposes at my email address provided above. Media Consent: I hereby grant LWC the right and permission (a) to use and authorize others to use photographs and video of me, and audio of my voice, and to modify such photographs, video and audio, for illustration, promotion or advertising purposes: and (b) to contact me for marketing purposes at my email address provided above. Check here to show you accept the terms stated above for yourself or for a minor Volunteer for which you are the parental guardian.